The 10 Best RV Trips to Take in Delaware - Must See! Delaware may be the second smallest of the fifty United States, but that doesn’t mean there’s any shortage of things to do in this beautiful coastal state in the mid-Atlantic. The so-called “Small Wonder” is home to both impressive natural wonders like the Prime Hook National Wildlife Refuge as well as historically significant monuments like the Fort Delaware State Park. In between, you’ll find museums commemorating everything from the state’s rich maritime history to its boundless variety of local birds. Whether you’re a Delaware local or someone visiting the state for the very first time, there really is something for everyone to see. Beach bums will get a kick out of the state’s unblemished shoreline, while history buffs will enjoy themselves at any one of Delaware’s unique museums. Nature enthusiasts will love the beautiful tracts of preserved land, and kids will be tickled pink to jump in the lazy river at one of the coolest water parks in the country. Kick off your Delaware RV trip itinerary with a visit to Fort Delaware State Park. Accessible to visitors only by ferry, the fort is actually located on Pea Patch Island, less than a mile from Delaware City. While the island’s history as a fortress dates back to the War of 1812, Fort Delaware eventually became a Union fortress to house Confederate prisoners during the Civil War. It continued to play a role in U.S. history up until World War II, when the Delaware National Guard manned the fortress after the attack on Pearl Harbor. Fort Delaware was then opened up as a state park in 1951. Today, you can tour the island and learn more about the fort’s Civil War history or simply hike the scenic loop around the old prison camp. The closest RV campground is actually up the road at another state park called Lums Pond. After recent upgrades, the campground now has 68 RV campsites with electric, water, and sewer hookups. Plus, the campground is open year-round so you can make a reservation no matter what time of year you’re traveling. For a mix of history, nature, and adventure, head up to Wilmington to visit Bellevue State Park, the former home of horse racing legend William du Pont Jr. After du Pont’s death in 1969, his already-wealthy heirs weren’t interested in the upkeep of another property, so the estate was purchased by Delaware and repurposed as a state park. You can still visit the historic Bellevue Hall mansion, but there are plenty of other activities to do at the park, including tennis, horseback riding, disc golf, hiking, biking, picnicking, and fishing. And don’t miss the park’s summer concert series if you’ll be traveling in between May and October. Every Thursday and Sunday night at 6:30 p.m., Bellevue brings in musicians to play at its outdoor bandshell, making for an idyllic summer evening. Finding RV camping is difficult in northern Delaware, but there are still a couple of options if you’d rather skip the drive south. Some campers recommend parking at the Delaware Park Racetrack in Wilmington, which doesn’t offer any hookups or formal arrangements but manages to be a safe place to park overnight. You can also try the Delaware Motel & RV Park in New Castle, which has full hookups but is otherwise quite primitive. 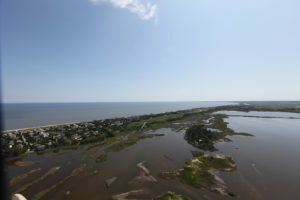 If you’d rather keep on driving, check out RVparking.com to find more RV campgrounds in other parts of Delaware. 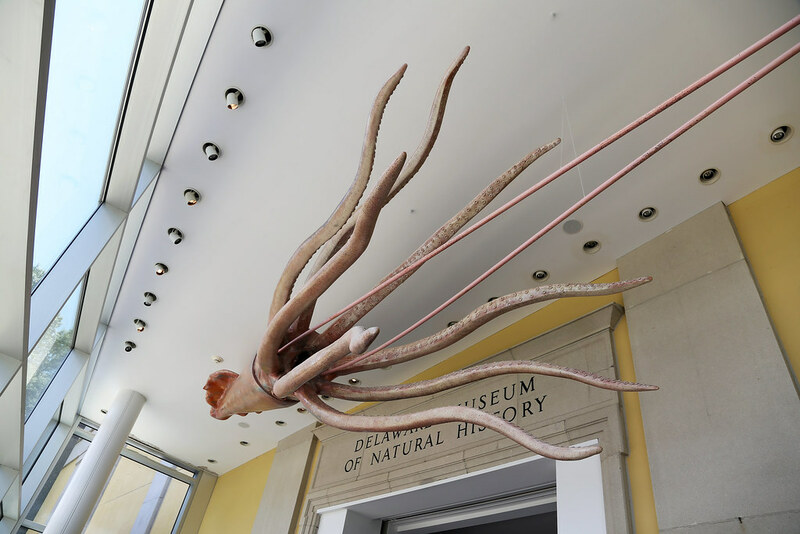 The Delaware Museum of Natural History is home to hundreds of mollusks and birds, but the story behind its inception is almost as fascinating as its exhibits. The museum was opened in 1972 by founder John du Pont, a du Pont family heir and wrestling supporter who was later arrested for murder. (Fans of the 2014 movie “Foxcatcher” will know John du Pont as the character portrayed by Steve Carrell.) Before the criminal case, though, du Pont was an avid collector of seashells, birds, and bird eggs and even traveled to the South Pacific and the Philippines, where he is said to have discovered two dozen subspecies of birds. du Pont donated 1 million of his seashells and 100,000 bird eggs from his personal collection to start the museum. Today, the natural history museum has added a dinosaur exhibit, a “nature nook” for young children, and special rotating exhibits throughout the year. As mentioned earlier, finding RV camping around Wilmington can be a bit of a struggle. If staying at the above-mentioned racetrack or RV park isn’t an option, there are Walmart stores in Wilmington, New Castle, and Middletown that may be accommodating. Because rules change depending on management, it’s best to call ahead to ask first. Looking for Delaware RV trip ideas that are slightly more off the beaten path? 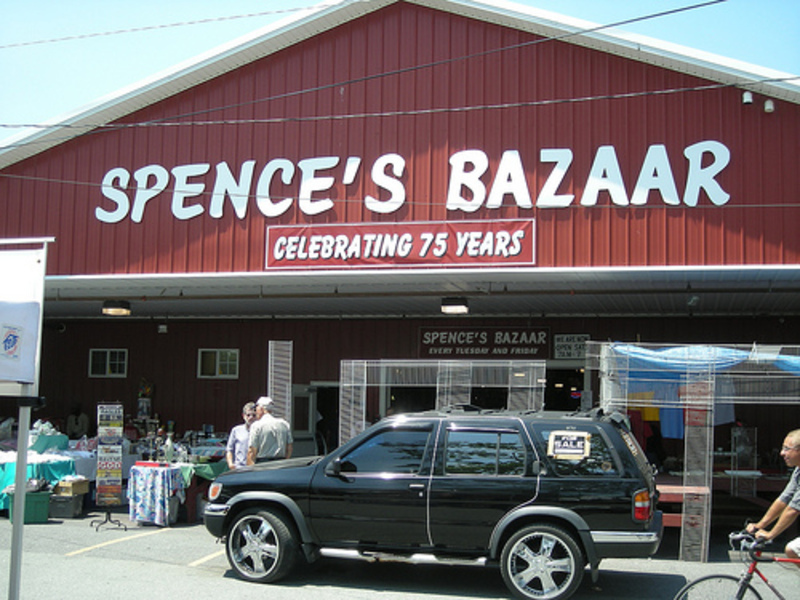 Head down to Dover to check out Spence’s Bazaar, an indoor/outdoor flea market that’s been open since 1933. The family-owned operation originally began as a livestock auction and has since been turned into one of Delaware’s most iconic businesses. Known for its selection of delicious Amish foods, you can scoop up a variety of homemade cheeses, breads, and desserts while checking out vintage clothing, records, and other knickknacks. Parking can be a bit chaotic, so we recommend that you get there a bit early and enjoy some breakfast before roaming around. About 15 minutes south of Dover, you’ll find the Steamboat Landing RV Park and Marina in Lewes. The campground, open May 1 to October 15, has its own general store, laundromat, swimming pool, crabbing dock, basketball and volleyball courts, and even a pavilion with activities planned every Saturday night, making it a comfortable place to post up overnight or even for a few days. While you’re in Lewes, check out the Zwaanendael Museum, which pays homage to Delaware’s first European settlement by the Dutch in 1631. The eye-catching building was modeled after the town hall in Hoorn, Netherlands, while the artifacts inside tell the story of the early Dutch settlers. Though the settlement lasted only a year before it was burned down by the natives, the museum serves as a testament to the early days of Delaware and the colonization of America. Special tours and lectures are available throughout the year, so be sure to check out the museum’s website before you go. While the ideal place to hang your hat for the night is right in Lewes at the just-mentioned Steamboat Landing RV Park and Marina, don’t forget that there are plenty of other RV parks and campgrounds in the greater Dover area. RV Parking is a great resource to help you find campgrounds near you, but you can also check out our list of the top 10 campgrounds and RV parks in Delaware. Spending the day at Jungle Jim’s is one of the best Delaware RV trips with kids. The state’s largest water park has numerous water slides, a lazy river, a kiddie pool, and even a wave pool. But Jungle Jim’s is more than just a water park — there’s also mini golf, bumper boats, and batting cages if swimming isn’t your thing. The park’s River Safari Cafe is reasonably priced and offers fare for both kids and grown-ups, including burgers, chicken tenders, chicken Caesar wraps, Baja fish tacos, hot dogs, and black bean veggie burgers. Just two and a half miles from the ocean, Big Oaks Campgrounds is one of the best RV parks in the Rehoboth Beach area. The campground is open May to October and offers full hookup sites with water, electric, and sewer. Each campsite also comes with its own picnic table and fire ring. Plus, Big Oaks is pet-friendly and has an on-site swimming pool, playground, camp store, game room, shuffleboard court, and basketball court. If city life’s got you down, getting back to nature at the Prime Hook National Wildlife Refuge is one of the best RV trips Delaware has to offer. Established in 1963 to help protect migratory birds, the public refuge is a great place to clear your head and put away your cell phone for a few hours. In addition to hunting and fishing, the park also offers hiking, wildlife viewing, opportunities for nature photography, or kayaking along the seven-mile Prime Hook Creek. The refuge opens every morning a half-hour before sunrise and closes a half-hour after sunset. We recommend starting at the visitors’ center, which is open daily from 9 a.m to 4 p.m. Right outside the wildlife refuge, you’ll conveniently find Brumbley’s Family Park Campground, an RV park with 35 campsites and full hookups. Pets are welcome, and the campground also has its own swimming pool and playground. Next up on our list of Delaware RV road trips is something specially suited for craft beer enthusiasts. 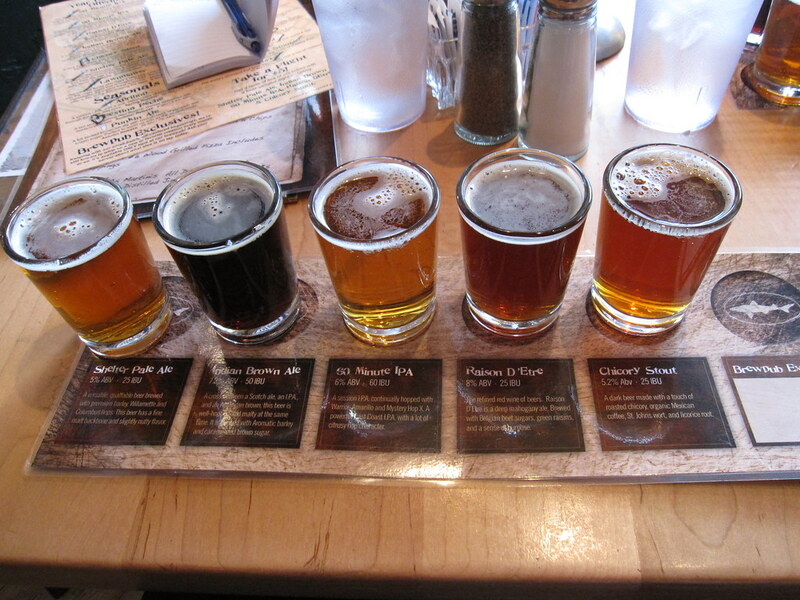 The Dogfish Head Craft Brewery first opened in Rehoboth Beach in 1995 as the smallest commercial brewery in America. Since then, the scrappy company has grown to nearly nationwide distribution and moved into new digs in Milton. Although Dogfish Head is perhaps most famous for its 60-, 90-, and 120-minute IPAs, the brand brews a wide variety of beers, from its low-carb session sour SeaQuench Ale to its Oak-Aged Vanilla World Wide Stout to the perfect-for-fall Punkin Ale. The brewery offers free tours seven days a week, but the hourlong tours do book up fast, so be sure to arrive early or call ahead to gauge how busy they are. While you’re there, enjoy a few free samples or fill up a growler to take with you on the rest of your trip. About 10 minutes south of the brewery, the family-friendly Homestead Campground offers full-service RV campsites with electric, water, and sewer hookups. The campground is pet-friendly and has two Olympic-sized swimming pools, a game room, batting cages, basketball court, dog park, and camp store. All booked up? Try the Tallpines Campground just down the road. The RV sites at Tallpines come with water and electric, and while there’s no sewer hookup, the campground is equipped with a dump station. The gated campground offers overnight security, a swimming pool, kid’s splash park, camp store, 18-hole mini golf, and even its own fitness center. Plus, there are enough round-the-clock activities to interest anyone, from water aerobics to family pool night to bingo to Bible study. At the end of a long ride in your RV, sometimes all you want to do is kick back with your toes in the water. For decades, Bethany Beach has been the spot where Delaware families come to enjoy a little weekend R&R. The small resort town has a charming boardwalk lined with great local restaurants and shops, from the up-and-coming Pomodoro Pizzeria to the longstanding Bethany Surf Shop. There’s plenty to do at the beach, from surfing to kayaking to stand-up paddle boarding. Amateur golfers can practice their putt putt game at Captain Jack’s Pirate Golf, while the pros can hit the links at the Salt Pond Golf Club. Finish your day with a cocktail at the famous “No Shower Happy Hour” every day from 1 to 6 p.m. at the oceanfront Mango’s — you deserve it. Less than 10 minutes after leaving the beach, you can settle down for the night at the Pine Tree Camp Grounds in Ocean View. The family-friendly RV park has its own pool, plus activities like bingo and horseshoes. You can also check up the road at the Bayshore Inc Camp Site & Park, which has three-point hookups for electric, water, and sewer, along with a marina and boat dock that’s open to the public. We’ve saved one of the coolest spots in the state to round out our list of the top Delaware RV vacations. Founded in 1995, the DiscoverSea Shipwreck Museum in Fenwick Island is a monument to shipwrecks and recovered artifacts from all around the Mid-Atlantic. Centuries later, many of the exhibits reflect the long-lasting effects of Spain’s colonization of America, while others conjure an image of the lives of the men who died at sea through an object as simple as a silver spoon. The museum, located on the second floor above the trinket shop Sea Shell City, even has some artifacts from the Titanic. Hours change throughout the year, so be sure to call ahead before making a visit. Just a short drive west from Fenwick Island, the Treasure Beach RV Park and Campground has 1,000 campsites on over 100 acres of land. All sites are connected with water, sewer, electric, and cable hookups, while the campground itself has bath houses with hot showers. Treasure Beach also allows RV campers to upgrade to pull-through sites or sites on the waterfront, bayfront, or lakefront. The massive campground has two lifeguarded swimming pools, a basketball court, playground, and live music every Saturday. You can also rent bikes or fishing poles if you prefer self-guided activities. We hope you’ve enjoyed our free Delaware RV travel guide! Our Delaware RV travel tips are meant to be a jumping point for your road trip, so if you’re planning on making multiple stops, be sure to map it out to choose the best route for your particular trip. As always, it’s best to call ahead to check on hours of operation, as some businesses and museums have special seasonal hours during the summer. Thanks for reading, and happy camping!